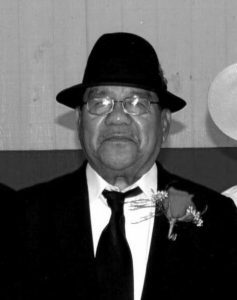 Mr. Rodrigo Ramirez, 82, of Lockhart passed away Sunday, September 16, 2018. Recitation of the Holy Rosary was at 7:15 p.m. Tuesday, September 18, 2018 at St. Mary’s Catholic Church. Funeral mass was celebrated at 10:00 a.m. Wednesday, September 19, 2018 at St. Mary’s Catholic Church. Burial followed at Santa Maria Aida Cemetery in Maxwell, Texas. Mr. Ramirez is survived by his wife, Gregoria M. Ramirez; daughters, Josefina Martinez, Santos Herrera, Consuela Palacios, and Paula Ramirez; sons, Domingo Ramirez and Rodrigo Ramirez, Jr.; sister, Gregoria Cadena; brothers, Santiago Ramirez, Julio Ramirez, and Antonio Ramirez, Jr.; 19 Grandchildren, 48 Great-grandchildren, and 2 Great-great Grandchildren. Services under the direction of Samuel J. DeLeon and Son/DeLeon Funeral Home.